When it comes to taking care of my skin, I am really serious. I have dry skin which needs regular care and proper hydration. I prefer using cruelty-free beauty products and recently am exploring a lot of Ayurvedic products. 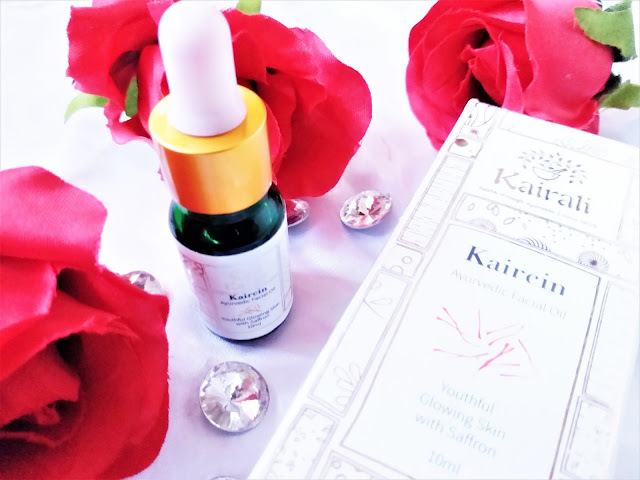 One such product is the Kairali Kaircin Ayurvedic Facial Oil, which I have been using for some time now. 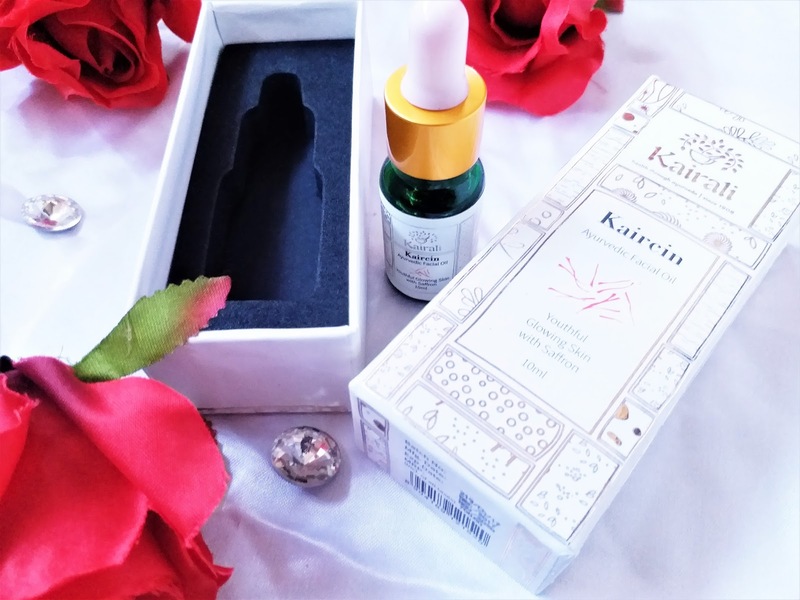 Kaircin Ayurvedic Facial Oil from Kairali is an effective product for a youthful and glowing skin. Made with nature’s best potent herbs and ingredients (saffron and lotus extracts), this facial skin care oil does not have any side-effects as it is chooses the ingredients that are in parity with the skin. 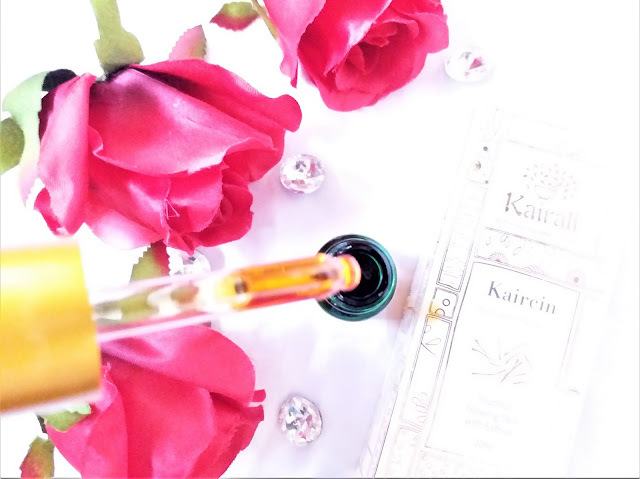 Packaging: Kairali Kaircin Ayurvedic Facial Oil comes in a white and gold outer packaging and the oil is stored in a green bottle with a dropper dispenser. My experience: I have already discussed about the simple routine that I have been following in the day time. The Kairali Kaircin Ayurvedic Facial Oil is the serum I am using at night time. A serum is supposed to be used post toner and pre night cream. However, I use this as the last step of my regimen adn skip the night cream part for now. I think this serum is quite moisturizing and is not greasy at all. The key ingredients are saffron and lotus extracts. Lotus extract is an uncommon ingredient. It is known for clearing blemishes and pigmentation and to provide a clear and spot free complexion. Whereas saffron is the ingredient that gives instant radiance to the skin. I like the moisturizing power of the serum. It definitely gives a radiant complexion. My skin glows the next morning. However, the lightening of blemishes and pigmentation is not that evident from its use. I think it requires a few more days to show its result. But as I said it is a great moisturizer and if you have blemish free skin it would be great as a glow booster. The skin appears quite youthful and illuminated. 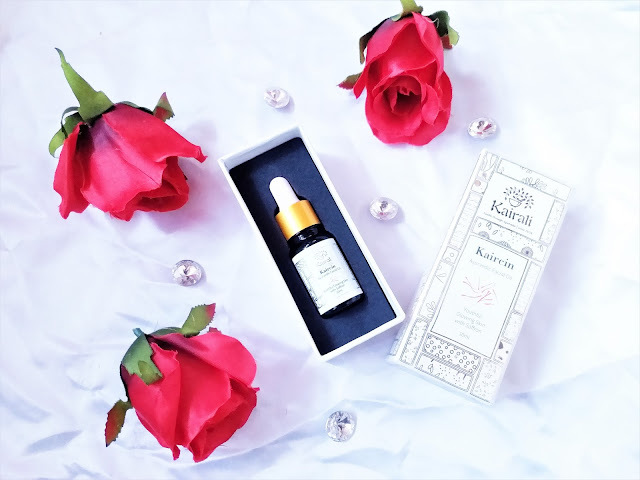 Kairali Kaircin Ayurvedic Facial Oil is a decent oil that gives a nice glowing & youthful radiance, apart from moisturizing the skin very well. It is suitable for all types of skin as a night serum.